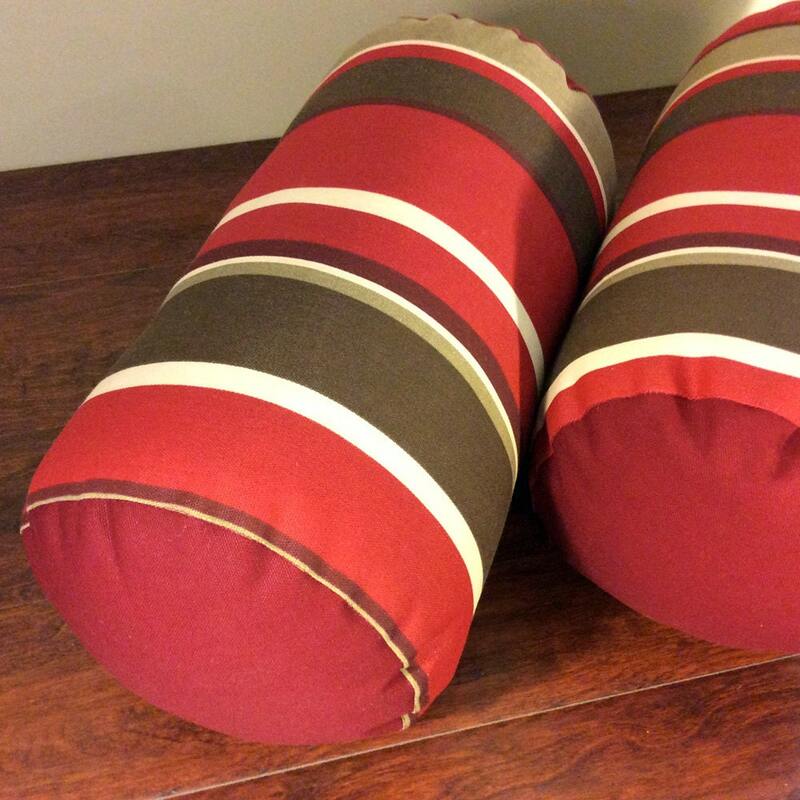 These large bolster pillows can be used indoors or outdoors. Available as a single bolster or a set. Burgundy red, brown and ivory stripe. • Filled with polyester fill. Sewn closure. This pillow is ready to ship worldwide via First Class Mail.